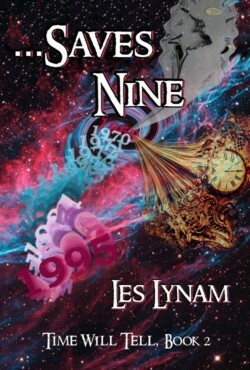 Two teens in a time machine… what could POSSIBLY go wrong? Sean knows there’s something “different” about the new girl in school — Alexis Townsend — but before he can figure out what, his world is turned upside down by the arrival of a distant relative. Distant, as in, his great-great-great-great-great-grandson. Life in 1995 seems pretty primitive to the time-traveler from the 23rd Century, but he tries hard to fit in with some help from his ancestor. Einstein’s Theory didn’t cover THIS relativity. 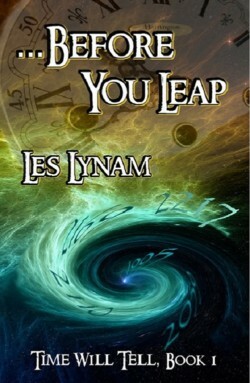 …Before You Leap is a humorous, nostalgic romp through the final decade of the 20th century. Change, they say, is inevitable but if you’re a time-traveler, change can be catastrophic. The local ‘oldsters’ aren’t ‘hip’ to the younger generation’s long hair and wild music, especially the town cop, causing Sean to experience some unexpected culture clash. Time Travel rules get tested when Sean develops feelings for his dad’s ‘groovy’ gal-pal, and he faces a life-or-death decision that could have huge repercussions when he returns to 1995. Will Sean’s ever-logical descendant regret bringing him into Jonathan Kelly’s wannabe flower-child world, or will Peace, Love, and Understanding prevail in the end?